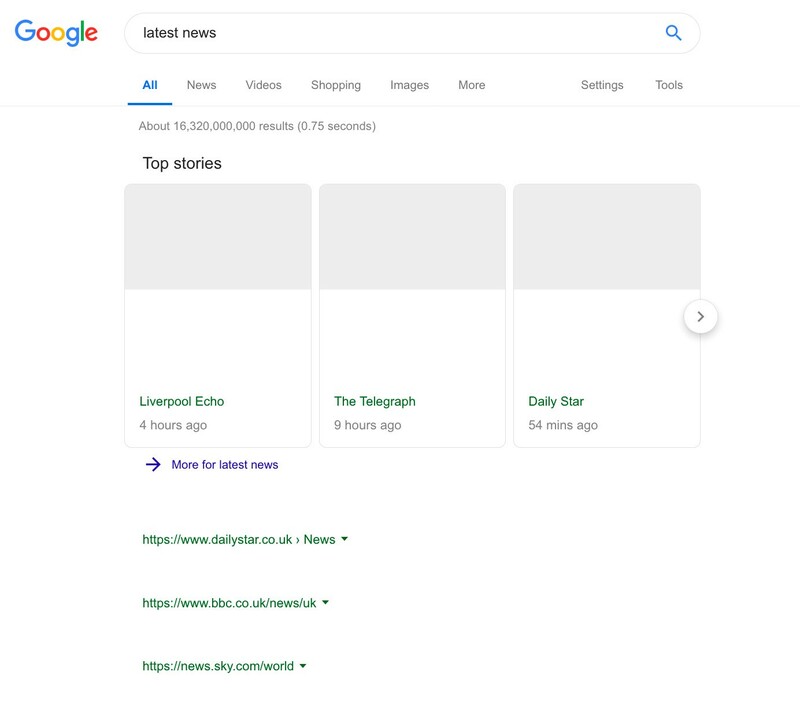 EU Copyright Directive will require search engines and aggregators to pay publishers for the right to display news results. Google is threatening to ghost Europe while at the same time local media companies say it needs them. Does it? Prince’s Sign O’ the Times and Radiohead’s Ok Computer star in most of my top-albums-of-all-time lists — yes, lists, plural, because if I’m antiquated enough to mention “albums” in 2019, I’ve clearly gone full screen mode on High Fidelity phase. That said, I’m excused from choosing an episode that pits Prince against Thom Yorke as one of my favourites in pop music tales. Almost 11 years ago, during Coachella, Prince decided to cover Radiohead’s Creep. His performance went straight to YouTube, which peeved The-Artist-Formerly-Known-As — because, you know, Prince had that thing with the internet. Immediately, he sent his legal team to remove the video, but when Radiohead got wind of the story, Yorke said: “Really? He’s blocked it? Well, tell him to unblock it, it’s our song”. This chronicle is no Keith-Richards-snorting-his-father’s-ashes, but it serves the purpose to depict the European Union Copyright Directive that, among other things, is setting news aggregators against media companies once again. The whole context is too boring to explain, but in short, Article 11 says that publishers “may obtain fair and proportionate remuneration for the digital use of their press publications by information society service providers”, which means that news aggregators, such as Google News and Apple News, and search engines like Google itself, Bing, Yandex etc. will have no choice but to pay media companies for using snippets of their stories. Google, who has the most to lose, struck back, dark-empire-style. On December 6th, its News VP Richard Gingras published a not-so subtle statement stressing that Google “will be put in the position of picking winners and losers”. He argued that “presently, more than 80,000 news publishers around the world can show up in Google News, but Article 11 would sharply reduce that number”. That exact same day the European Innovative Media Publishers, representing small sized media outlets, introduced a new level of can-I-copy-your-homework by releasing a declaration against EU Copyright Directive: “Aggregators and search engines drive valuable traffic to publishers’ websites, particularly smaller or local ones”. Really? Like a flash mob, all kinds of media outlets — traditional, digital-native, prestigious, small, half-dead… — decided to weigh in and dissect Google’s threat. Most of them explained the obvious — small publishers can either join collective agreements to negotiate or simply give those rights away — while some resorted to media analysts that labeled Google’s intimidation as a bluff because the company — they argued — needs European media outlets. Interestingly though, almost nobody reverberated and discussed the question itself: does Google really need European publishers? And therefore, in a broader spectrum, do search engines and news aggregators need media companies in general? I’ll go ahead and reveal a massive plot twist: yes, they do. But maybe not the way that Angela and François are thinking. The other factor that nobody has mentioned (probably because it doesn’t help news outlets’ cause) is that Google and its peers can handle a lot of the search results by themselves. Try typing “australian open winners”, “what is brexit” or “ukrainian presidential election” in the search box for example. Or just pick one of the top searches of 2018, such as “what is bitcoin?”, “how to vote?” or “world cup” (although in these cases, Google may need some help from its “non-news” friends). Here's what happens when you type "australian open winners": far from good or good enough? So why do search engines and news aggregators need publishers after all? One of these days, author James Ball wrote a compelling article explaining why news companies are the worst. Ok, he didn’t say that, but he did so in a much better and detailed way: “Neither are the financial woes of journalism solely the fault of any tech company. It is not unfair that the internet is simply better for consumers for finding these services than newspapers were, and it’s not the fault of tech companies that complacent newspaper groups didn’t spot the changing tide and invest in the next generation of such listings platforms”. And although Ball hadn’t written this piece in relation to EU Copyright Directive (actually, he was pointing out why “tech companies shouldn’t fund journalism”), everything he outlined is absolutely true. That post signed by Google News VP contains an unintentional easter egg. When he says that “80,000 news publishers around the world can show up in Google News”, he really endeavours to entrench the blurry line that distinguishes obvious news outlets from everything else that could be considered “news”. Because the same way that we tend to believe that only “current events” should be categorized as “news”, Google knows — better than anyone, trust me — that this is far from true. Richard Gingras' post: 80,000 news publishers in Google News, but what about the rest? Of course, if your interest leans towards what-is-happening-in-venezuela? or can-may-resuscitate-her-brexit-deal? chances are that a traditional media outlet can deliver a more adequate answer than other channels. However there are a lot of other “news” that those same traditional media outlets: a) have no idea how to report on it, b) have no staff to do it, or c) simply don’t even know that it is happening. (You’d be shocked if you knew how often letter C occurs). And whether the authority journalism likes it or not, for some time now the finest tech reviews, some of the best sports comments and a lot of the most interesting interviews are not conducted by “news outlets” (and, yes, all of it is still “news”). Moreover, if you take a deeper look into where you’re getting your “news” these days, you will realize that there are a lot more “publishers” out there than those 80,000 counted by Google. And that’s why aggregators and search engines really needs publishers, not only European, but all of them: to establish a clearer distinction between “official” news outlets and everybody else who’s uploading content all over the web. Because without the usual suspects, it will only be a matter of time until one notices the obvious: everybody is a “publisher”, ergo entitled to grab a piece of this snippet-tax. And that’s something that not even Google can afford. Ironically, the company could’ve avoided this issue a long time ago, if it had focused some of its efforts on building a sturdy news ecosystem — something that Apple is clearly trying to do now (better late than never). If you already hold the keys to all the powerful services Google already owns, like YouTube, Google Podcasts, GMail etc., half the battle is done (and by “half” I mean 90%). In this hypothetical scenario — where Google deals with news in a much wiser way — , the power play would replicate what happened between Prince and Radiohead on Creepgate. Since most European news outlets — say Le Monde, El País, The Guardian — would be using Google’s features (“would be”), they couldn’t ask for a compensation and this specific article of EU Copyright Directive would become meaningless. By the way, the last chapter of that music tale ended up this same way. Since he couldn’t do anything about it, Prince’s crusade became meaningless: so, he finally gave in and ultimately endorsed the YouTube video. Yeah, deep down, we all wish we were special.